As our early-2019 World Premiere approaches, we're busy working out all of the details to help Hurdle be seen by as many people as possible. And today we’re excited to announce that we are partnering with the crowdfunding platform Launchgood to make that dream a reality. Launchgood is a platform built for crowdfunding incredible projects that specifically involve the global Muslim community. Hurdle is humbled and excited to be one of the first feature length documentaries to be funded on Launchgood. Your support on Launchgood will go directly towards building a larger international audience for Hurdle — creating a global and meaningful impact on the conversation of Palestinian’s rights. We’re humbly asking for your help to make sure that this powerful film reaches as many eyes and ears as possible. Part of the funds will go towards hosting screenings of Hurdle in the Palestinian West Bank and East Jerusalem. We are incredibly excited to show the inspiring heroes of Hurdle on the big screen right in the middle of their community - inspiring hope and resilience in the face of daily struggles. Please check out our campaign and share with your friends! Hurdle is an Official Selection of Media Library 2019 | Visions du Réel, Festival international de cinéma Nyon! 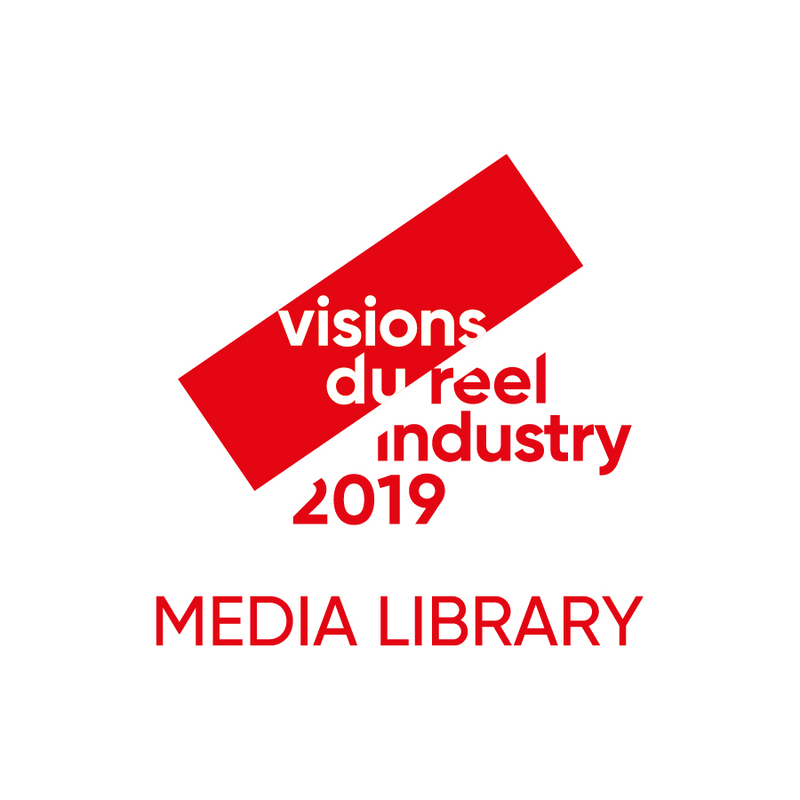 Hurdle is honored to be selected for the Media Library 2019 | Visions du Réel, Festival international de cinéma Nyon! “Hurdle has been singled out by our selection committee to be part of the Media Library for its international sales potential and for meeting strict quality requirements. The Media Library is a digital platform that offers industry professionals the opportunity to view a tailored selection of creative documentaries. We are thrilled at the potential for European sales and distribution! We are so proud and excited to share the news of Hurdle's World Premiere at the Dallas International Film Festival in Dallas, Texas. "DIFF2019 is a global adventure that boasts premiere screenings, nightly red carpets, daring documentaries, eye-opening short films, exciting digital content, nightly parties, live music performances, filmmaker panels and award presentations. Last year the festival completed a successful 2018 run with over 100 filmmakers attending our Texas-sized film party that saw 130 films screened from 22 countries and an attendance of over 24,000." We are honored to be included in the programming of this wonderful festival and to begin the journey of our successful film festival run. So many of you have supported us from Texas, all over the country, and the world. We want to formally invite you to attend our World Premiere screenings to: see the film for the first time its ever been shared publicly, meet the filmmaking team and to let us thank you for helping us create this important and inspiring film. We are also hoping and working to get visas issued for a few of our Palestinian characters to join us on the red carpet and to answer your questions in person! Our screening dates and times have not been released by the festival yet, so please block off your calendar (April 11-18) and plan to help us pack out the theater on our big night. We will be sure to keep you informed on the specific dates, how to get tickets and any parties we are planning for the Hurdle family. Once again and as always, thank you for your belief in this film from the beginning, for getting us to this point and for your continued support in the future. I have to be honest. Working on Hurdle for the last few years, I’ve had these delusions of grandeur where I thought I would get the most joy by putting this powerfully inspiring story in front of as many people as possible. I naively thought, “I can’t wait to get this film in front of the masses!” But after a recent trip to Israel/Palestine, I humbly learned I was wrong. Michael and I landed on a Monday. We hit the streets immediately and found ourselves in the Old City of Jerusalem on the steps of Damascus Gate—where many of the scenes of Hurdle take place. Here we shared laughs and sweet mint teas with old and new Palestinian friends as Israeli Border Patrol soldiers casually patrolled with their automatic weapons hanging haphazardly off of their shoulders. We talked with a new friend, Mahmoud—a young twenty-something Palestinian who currently lives and volunteers in France—about his work with media and understanding and challenging stereotypes. We also reconnected with Sami—the leader of the Jerusalem Parkour team and one of Hurdle’s protagonists—and chatted with him about his first term in University. One evening later in the week, we reconnected with Jehad—the sweet big-energy member of the Jerusalem Parkour Team—as he led us to the rooftops of the Old City. As the sun was setting behind the golden glow of the Dome of the Rock, Jehad performed a somersault or three as he jumped from one roof ledge to another. It was a jaw-dropping sight to see how far he was jumping and how potentially dangerous these acts of urban gymnastics really were. But for Jehad, as he flipped, jumped and told us old parkour stories, you could see in his eyes and smiles that it was in these moments where he truly felt free. One afternoon Michael and myself made our way through the Muslim quarter of the Old City where we climbed up the steps to the rec center where the Jerusalem Parkour team hosts their weekly practices. After a few kind introductions, we respectfully parked ourselves in the back corner of the wide room as we watched ten or so boys happily but studiously stretch and practice. Hamzeh—one of the the Jerusalem Parkour Team who is often seen in Hurdle—was coaching. This was a sight to see, because not only did Hamzeh lead and teach with a comfortable confidence, but as you’ll see in the film, he was just an average adolescent two years ago when we began filming with the team. Now, here was this handsome young man who (if a continent or two away) would be vying for homecoming king or for a starting spot on his college football team. Instead, here he was graciously giving his time to teach young boys how to see obstacles as opportunities. And not to mention how to land a flying frontflip. On my last day of the trip, we made our way to the Aida refugee camp near Bethlehem where the other Hurdle protagonist, Mohammad, lives and works. We met him along with Sami and Hamzeh from the parkour team to show them all the film. This was the anxiety riddled climax of the trip. This was their story. This was their lives that we had spent the last two years capturing and capsuling into an eighty-four minute documentary film. Even in the room where we were screening the film, just outside teargas is launched and rubber bullets fly freely as clashes between IDF soldiers and Aida refugees happen regularly. The stakes were incredibly high. What if we got it wrong? What if they were disappointed in the film? And this is where I humbly got my wake up call. Because in the end they weren’t disappointed. Moreover, they were incredibly thrilled and grateful. Not just because the parkour montages look really cool, but because they finally felt that their stories, their lives were getting the honest portrayal that they deserved. They weren’t being splayed all over the news as terrorists. They weren’t being attacked as ignorant rock throwing Palestinian children. Rather, their stories were getting the context they feel they deserved and a spotlight was being shown on the inspiring work they are all doing each and every day amidst this polarizing conflict. The purpose of our latest trip to Israel / Palestine was to meet with the young men who are the main subjects in Hurdle and show them the completed film in private together. It was an emotional experience. These young men opened their personal lives to us as filmmakers and ultimately to you as an audience. They shared their hopes, dreams, fears and challenges with us so that we may better understand an experience different from our own. It took a great deal of courage, trust, time and sacrifice to allow us to capture the amazing story that we did. It is for this reason, that we felt it very important to meet face-to-face and allow them to view the film before we release it to the public. After the screenings with Mohammad, Sami, Jehad and Hamzeh there was a joy but also heaviness in the room. I think we all were realizing that we're a part of something that is bigger than ourselves as individuals. They spoke about our attention to detail and the way we were able to capture not only a story, but how it feels to be in their shoes. One of them said: "Sometimes it's easy to forget who you are, but watching this film has reminded me of who I am." There were hugs, talk of inspiration and plans for the future. After almost three years, we were able to celebrate the work of Hurdle together. We are excited to introduce you to Mohamad Albukaai, Hurdle's translator, on the blog today. Meet Neil Anderson (or the back of Neil’s head). Neil is a master colorist and we are thrilled that he has agreed to come on our team and provide color-correction for Hurdle! When Neil isn’t spending his nights and weekends making our film look beautiful, he’s working as a full-time colorist at Lucky Post, where he colors ads for companies like Toyota, The NBA, and the New York Times. Color correction is such an important aspect of post-production and we’ve found an expert in Neil and his assistant Kyle Montgomery. Neil has already blown us away with how he is able to take our footage and make the story, characters and environment come alive in a way that jumps off the screen. Thank you to all of our supporters (especially you Kickstarter backers and the Austin Film Society) for helping us get one of the best in the biz to bring our story to life. Director Michael Rowley (right) and Colorist Neil Anderson (left) work through a color session Hurdle. We are honored to be partnering with Honeymix Studios, a fantastic sound studio in New York City. You have probably seen their work in national campaigns like the Tide Super Bowl ads. We are excited to have such a talented team working with us on Hurdle's sound mix! Stay up-to-date with other Hurdle news by following us on Facebook and Twitter! We're so excited to announce that our Kickstarter campaign is now live! We are excited to introduce you to Theo, a media company and producing partner with Hurdle, on the blog today. 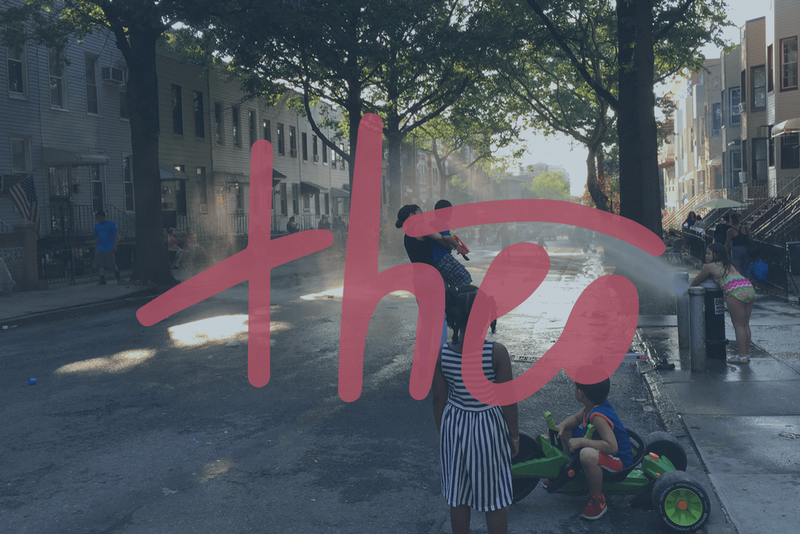 Theo is an educational multimedia brand that creates compelling and engaging content in order to connect audiences to interesting and sometimes challenging subject matter. It was formed in 2016 as a collaboration between Hurdle director/producer Michael Rowley and producer Remoy Philip. Theo has played an important role in helping amplify the story of Hurdle, so we wanted to share a bit more about Theo (and how it aligns with Hurdle) in the form of a post written by Remoy. We built Theo to create media that we believed was important. We wanted to tell stories that come from the fringes—stories of people and experiences that aren’t regularly seen or heard. In this way, these stories effectively become bridges. They connect people to underserved stories, help cross a divide that was previously thought uncrossable and, ultimately, could take us all somewhere new. We developed an online magazine called Rover where we published stories about being stopped and frisked, about being a queer novelist, about being a young woman who doesn’t want to have kids and so much more. We developed a holiday outreach for the homeless called Cookies for Homies Without Homes where we not only shared a small bit of the holiday spirit with the homeless nationwide, but simultaneously told the stories of the homeless outreach workers who made it their job to support the homeless each and every day. We built so many robust bridges, but we were still looking to find and tell more challenging stories that could give you access to something unseen and unexpected. Hurdle exemplifies exactly what we want our bridges to be. Through Hurdle, we get to cross into a complex world that our daily news cycle often paints with too broad of a brush. We get to watch as young Palestinians navigate a complex world of rubber bullets, sniper towers, and military occupation. We can watch and be inspired by these young men who face walls and respond with creativity to determine their freedom. They teach us that freedom is something you can practice. Stories are so much a part of our everyday lives. But all too often, important stories fall through the cracks and we miss out on the opportunity to see the world from a broader perspective. At Theo, we don’t want that to happen. And that’s why we’re so proud to play a part in bringing Hurdle to a screen near you. We know this film tells an important story and we also know this story can bridge a gap. We’re excited to bridge that gap with Hurdle and with you. one of Hurdle's producers, on the blog today. Remoy is a NYC-based editorial journalist and creative producer. His work has taken him around the globe telling stories of underserved and marginalized people groups, resulting in humanization and audience activism. Remoy also co-founded Theo Media with our Director/Producer Michael Rowley in 2016. Growing up in West Texas, my mom had this ever-growing collection of VHSs. On weekends I’d wake up early, push one into the VCR, and get lost in the adventure. Big, Forrest Gump, and The Breakfast Club were some of my favorites. But I’m the son of South-Asian immigrants and from all those movies I grew up with, none of them came close to reflecting my everyday life. The way my grandma wore her gold shimmering saris to church on Sunday, how my mom taught me to eat spicy curry dinners with my hands, or the way my jet black hair curled in waves against my dark brown skin, I saw none of that in those movies (unless it was some sort of gross stereotype). And with that inability to see myself, I began to form an unhealthy view of myself while society at large formed inaccurate conceptions of me and my family. That’s why I wanted to be a part of making Hurdle. Because I know how important movies can be in forming your own identity and because no matter where in the world you live or what religion you believe in, you deserve to have your story told accurately. You deserve to be the hero of your story—Jason Bourne-ing off of buildings and running up walls. You deserve to take part in your family’s traditions and not be demonized for it. You deserve to be your town’s storyteller and share everything from the prison-like walls to the rubber bullets to the bulldozers that are erasing your family’s history. I’m so incredibly humbled to get to be a part in the documentary making process. But more so, I’m so excited to help people across the world who haven’t gotten a fair shot at telling their stories. That’s why I’m proud to be working on Hurdle. Meet Sami, one of the primary subjects of Hurdle. Sami is a 24-year-old Palestinian who has lived his whole life in the Old City of Jerusalem. He's also a founder and the coach of the Jerusalem Parkour Team. In the early days, he taught himself parkour by watching videos on Youtube frame-by-frame and today remains devoted to the sport. Sami’s passion is unwavering as he teaches his peers to use creativity to overcome obstacles and find freedom. “When I started practicing parkour,... I actually felt human — trapped and then set free. I am not trapped. There is nothing holding me. This is why I have become attached to this sport, because I started feeling this freedom - freedom in a country where there is no freedom." Meet Mohammad, one of Hurdle's primary subjects. Mohammad lives in Aida Refugee Camp in the Palestinian West Bank. Using his camera to document daily life in the camp, Mohammad looks to the parkour team and any Palestinian creativity as a powerful response to the restrictions placed upon them. Thank you for visiting Hurdle's website and also taking the time to take a more in-depth look at the film. The past two years has been an incredible journey that has led us to this point. We are officially done with production and are in the post-production phase of this documentary feature film! We couldn't be more excited about the story we've been able to capture and are getting to share in the near future. Until then, I wanted to give you more information in regards to the who, what, when, where and why of Hurdle. In the 50th year under military occupation, Hurdle depicts a group of resilient Palestinian youth coping with the reality of living in an environment surrounded and separated by walls. The youth find a sense of self-determination and freedom through creative resistance. From the acrobatic sport of parkour to documenting their daily lives behind the lens of a camera, they use their creativity to overcome obstacles — both literal and figurative. From gunshot wounds and arrests, to brotherhood and faith, the film humanizes the unpredictable hardships experienced by many Palestinians. Providing a look into the depth and layers of masculinity within Palestinian culture, the film reveals a present intimacy and vulnerability often missing from the dialogue surrounding this conflict. In addition, the metaphorical resonance of parkour in a world of walls conveys an old story through a new lens — one where obstacles are not seen as limitations, but as opportunities for freedom. The Israeli-Palestinian conflict has been the source of human rights abuse and violence for decades. This century-long conflict has brought with it 50 years of military occupation and a large-scale loss of human freedom, security and dignity throughout the region. A major hindrance to peace negotiations has been the continued restriction on Palestinian movement. With walls that surround entire communities, unpredictable travel restrictions and military checkpoints as a part of daily Palestinian routines, this lack of freedom is a key issue that instigates dehumanization and violence. Approximately 10 years after the construction of the Israeli separation barriers, the argument can be made that Israelis are less safe and Palestinian suffering has increased exponentially. Not only is this situation an important, ongoing human rights issue in Israel/Palestine, it is also a cautionary tale about similar actions that are surfacing in popular political dialogue around the world today. Hurdle is an opportunity to help a diverse audience connect on a human level with a community that is underrepresented and at times demonized in the mainstream narrative. We are honored to show our Palestinian subjects resist injustices not with violence, but with creativity and determination. For Palestinians, and all those who may be in similar situations of restriction, we are excited to share an inspiring story about how creativity and personal expression can be a powerful form of resistance. Through the lens of Parkour, a sport built on the fundamental idea that obstacles are opportunities for creativity and growth, Hurdle will explore the themes of freedom, peace, and how humans can respond with resilience when facing a lack of freedom. Please follow our social media channels, sign up for our mailing list, and consider donating to help us get across the finish line on this important film. CAN YOU HELP US MAKE HURDLE HAPPEN? P.S. Would you or someone you know be interested in learning more about Hurdle? We would love to set up a time to talk! Contact us!